Imagine seeing the silks your child designed on one of the world's leading jockeys during Gulfstream Park's Championship Meet? 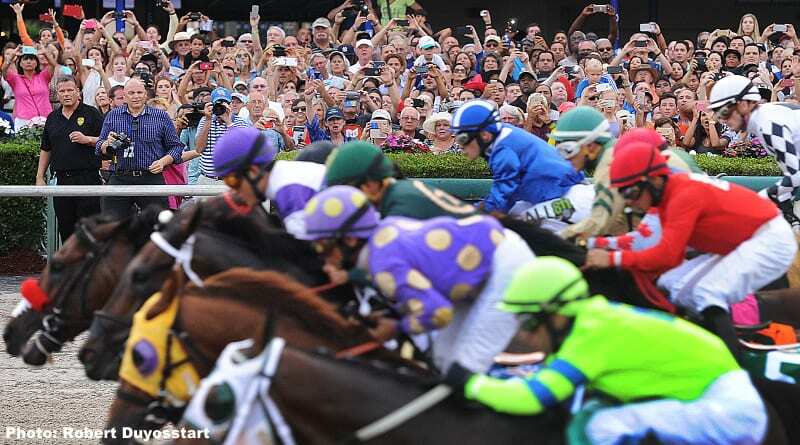 As part of its month-long exhibit at the National Museum of Racing and Hall of Fame in Saratoga Springs, N.Y., Gulfstream is asking anyone 18 and under to design a set of jockey silks. At the end of August, one set of silks will be selected by Gulfstream to be worn by a jockey in a race during Gulfstream's world-renowned Championship Meet (December through March). Stop by the museum for the Xpressbet Saturday Morning Social this Saturday when Gulfstream host and analyst Acacia Courtney will join Museum staff to go over the day's 20-cent Rainbow 6 at Gulfstream. The Saturday morning social runs from 9-11 a.m. This entry was posted in People and tagged Gulfstream, gulfstream park, hall of fame, national museum of racing and hall of fame by Press Release. Bookmark the permalink.